Two weeks ago, in Midwest Canine Influenza Outbreak Due To `New’ Korean H3N2 Virus, we learned that an outbreak of canine influenza which began a month or so ago around Chicago was due to an Asian H3N2 canine flu subtype which emerged in 2007 (see Transmission of Avian Influenza Virus (H3N2) to Dogs). How this emerging influenza subtype managed to jump from Korea (or perhaps China) to the United States is unclear. But now that it is here, it appears to be spreading rapidly through an immunologically naive dog population. Unlike our domestic canine H3N8 - which jumped from horses to dogs in 2004, and has circulated in North America sporadically since then - this subtype has also been shown capable of infecting cats as well (see Korea: Interspecies Transmission of Canine H3N2). Adding yet another wrinkle, this H3N2 virus appears to be of avian origin. The HA and NA of the A/canine/Korea/01/2007 (H3N2) isolate was closely related to those identified from South Korean chickens and doves in 2003. As with the existing equine and canine strains of H3N8, we’ve not seen any evidence of human infection with this canine H3N2 virus. But like all influenza viruses, canine H3N2 is a continually moving target. It can not only evolve via antigenic drift, it can also pick up entire gene segments from other flu viruses via antigenic shift (aka reassortment). And while rare, as any virologist will tell you – shift happens. Last summer we saw evidence of just such an event, in a report appearing in the journal Epidemiology & Infection, that found a new reassortment of the canine H3N2 virus – one that had picked up the M (matrix) gene from the 2009 H1N1 pandemic virus (see Canine H3N2 Reassortant With pH1N1 Matrix Gene) – in china. But so far, we’ve seen no evidence that this canine H3N2 can infect humans. This week the CDC published a new updated FAQ file on Canine influenza, specifically addressing this newly arrived subtype, including whether it has the potential to jump to humans. I’ve excerpted the first two segments, so follow the link to read it in its entirety. Canine influenza (also known as dog flu) is a contagious respiratory disease in dogs caused by specific Type A influenza viruses known to infect dogs. These are called "canine influenza viruses." Dog flu is a disease of dogs. No human infections with canine influenza have ever been reported. There are two different influenza A dog flu viruses: one is an H3N8 virus and the other is an H3N2 virus. Can canine influenza viruses infect humans? To date, there is no evidence of transmission of canine influenza viruses from dogs to people and there has not been a single reported case of human infection with a canine influenza virus. However, influenza viruses are constantly changing and it is possible for a virus to change so that it could infect humans and spread easily between humans. 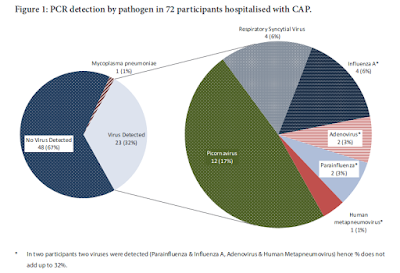 Human infections with new influenza viruses (against which the human population has little immunity) are concerning when they occur. Such viruses could present pandemic influenza threats. For this reason, CDC and its partners are monitoring the canine influenza H3N8 and H3N2 viruses (as well as other animal influenza viruses) closely. In general, canine influenza viruses are considered to pose a low threat to humans. Where did canine influenza viruses come from and how long has it been around? Is there a test for canine influenza? My dog has a cough. What should I do? Where can I find more information on canine influenza virus?